Low Heat Cement: Less Susceptible to Cracks! Concrete is one of the major construction material in this modern era. Concrete is usually made from cement, aggregates, water and construction chemicals. Cement has binding properties when it reacts with water. The reaction of cement with water is an exothermic reaction; hence, heat is evolved during the reaction. For heavy structures, such heat is very large, which ultimately affects the strength of concrete. For heavy concrete structures or mass structures, low heat cement is used instead of ordinary Portland cement (OPC). 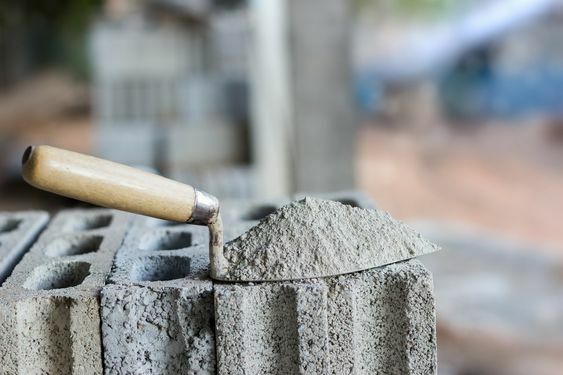 Here we have given brief information on low heat cement, its properties and its pros and cons, which a site engineer must know. Also Read: Why do We Use the Portland Cement? Cement when reacts with water releases heat, which is called the heat of hydration of cement. Due to the release of heat, the inside temperature of concrete increases and hence, a temperature gradient is established between inside and outside surface of concrete, which ultimately leads to the formation of cracks. As the name suggests low heat cement releases less heat of hydration. Low heat cement or low heat Portland cement is manufactured by modifying the constituents of OPC. Low heat cement has less percentage of tricalcium aluminate and a high percentage of dicalcium silicate as compared to OPC. Low heat cement has less heat of hydration of cement and hence the temperature inside the concrete during construction is maintained. The initial rate of gain in strength is low, but the final rate is high to achieve the desired strength. Low heat cement has low value of setting time as compared to OPC, as it sets slowly; the heat of hydration is also released slowly. As per IS code 12600 -1989, the initial setting time of low heat cement is 60 minutes and the final setting time is 600 minutes. It has high resistance towards water and chemical attack. Also Read: What is Setting Time of Cement? The amount of water required during hydration is also less for this type of cement. Low heat Portland cement has high resistance towards shrinkage; hence, there is less likelihood of shrinkage cracks in the concrete. It has good resistance towards chemical attack as compared to OPC. It has high workability for a given value of slump as compared to ordinary Portland cement. The major advantage of using low heat cement is that it can be used in mass concreting and hot weather concreting. The formation of cracks can be avoided in heavy concrete structures, by using low heat cement. The overall durability of the structure is increased as likelihood of formation of cracks is reduced, which will help in avoiding possible leakages, dampness and ofcourse corrosion. Due to its high workability, pumps can easily pump it to high heights during construction of a high-rise building. It can also be used in marine conditions as it has good resistance towards chemical attack. Low heat cement cannot be utilized in cold weather conditions, as it retards the setting time, which is undesirable. Low heat cement is expensive, hence used only in big projects. Also Read: Portland Slag Cement: All You Like to Know! Low heat cement is used in the construction of gravity dams, retaining walls, thick concrete sections, footings, piers, and other heavy structures. Low heat Portland cement is used in construction during hot weather conditions and in countries with tropical climate. Marine structures such as offshore concrete towers are made using low heat cement. Low heat cement is not used in residential construction, as it is expensive for small construction projects. However, for large or bulky projects it proves more economical and durable as compared to ordinary Portland cement. Previous PostPrevious Rapid Hardening Cement: Way to Increase the Construction Speed! Next PostNext What is Bonsai?